Simon & Schuster, 9781439140239, 320pp. The highly anticipated new standalone novel from Martin Cruz Smith, whom The Washington Post has declared “that uncommon phenomenon: a popular and well-regarded crime novelist who is also a writer of real distinction,” The Girl from Venice is a suspenseful World War II love story set against the beauty, mystery, and danger of occupied Venice. Venice, 1945. The war may be waning, but the city known as La Serenissima is still occupied and the people of Italy fear the power of the Third Reich. One night, under a canopy of stars, a fisherman named Cenzo comes across a young woman’s body floating in the lagoon and soon discovers that she is still alive and in trouble. Born to a wealthy Jewish family, Giulia is on the run from the Wehrmacht SS. Cenzo chooses to protect Giulia rather than hand her over to the Nazis. This act of kindness leads them into the world of Partisans, random executions, the arts of forgery and high explosives, Mussolini’s broken promises, the black market and gold, and, everywhere, the enigmatic maze of the Venice Lagoon. 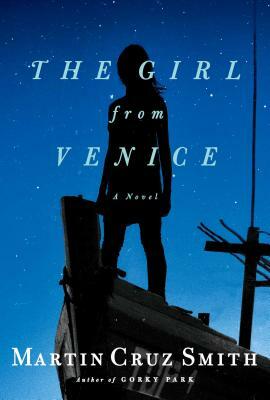 The Girl from Venice is a thriller, a mystery, and a retelling of Italian history that will take your breath away. Most of all it is a love story.